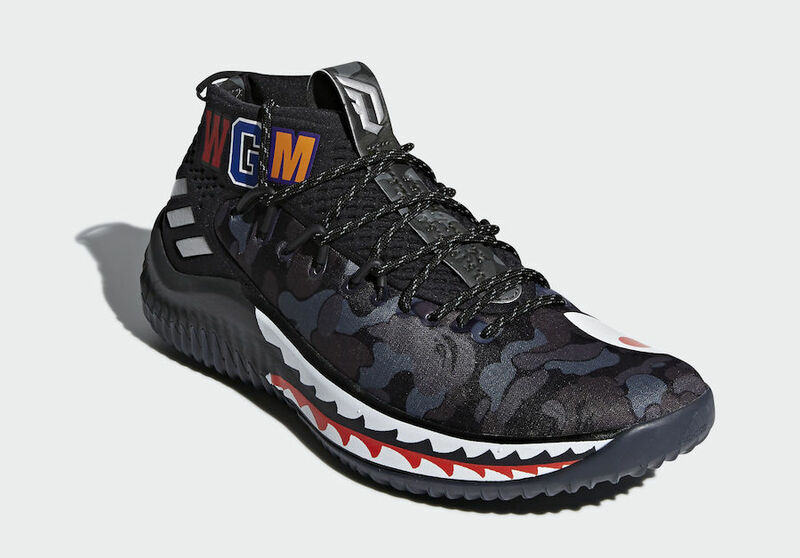 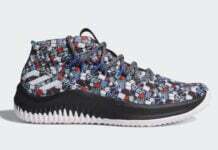 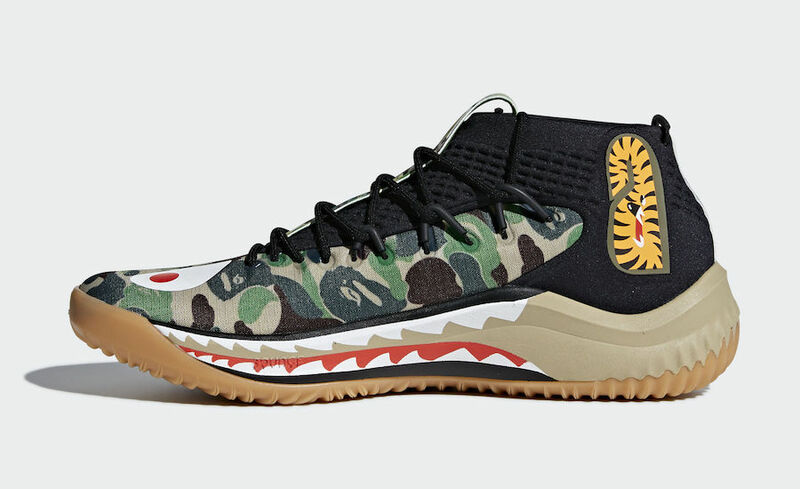 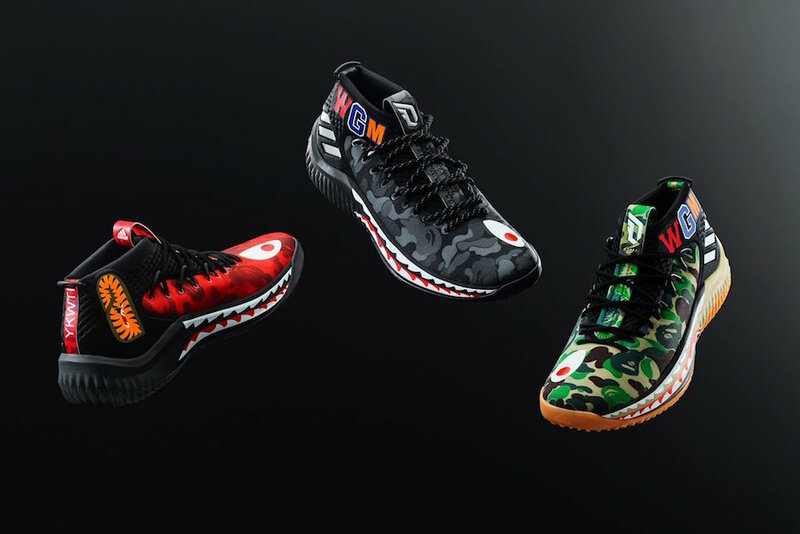 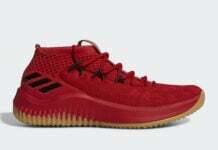 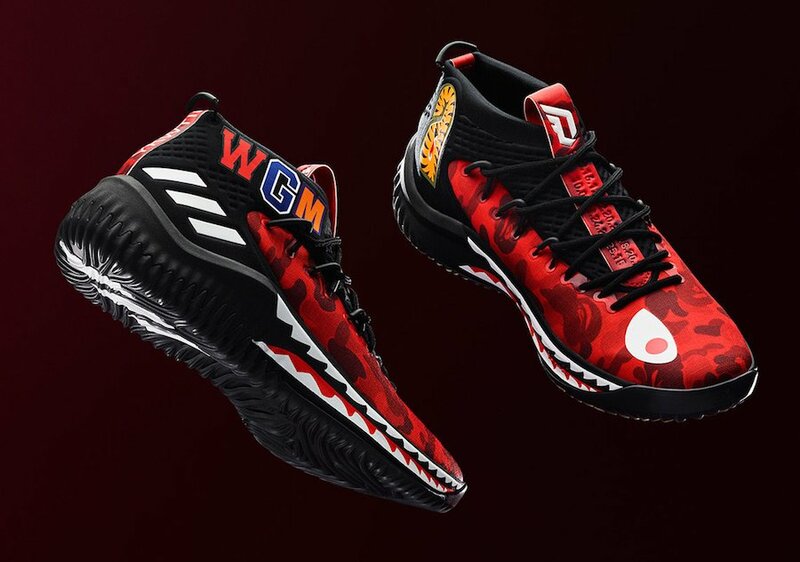 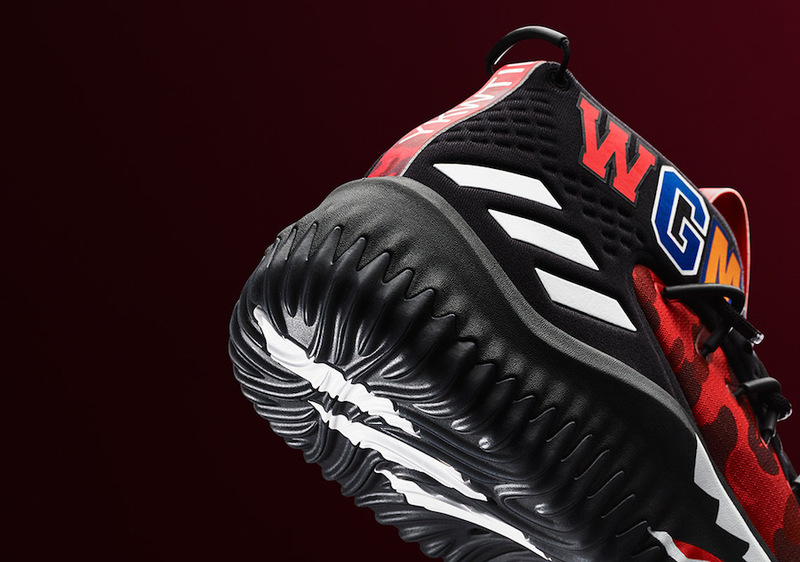 Damian Lillard and his latest signature shoe, the adidas Dame 4 will combine with Bape for a new collaboration. 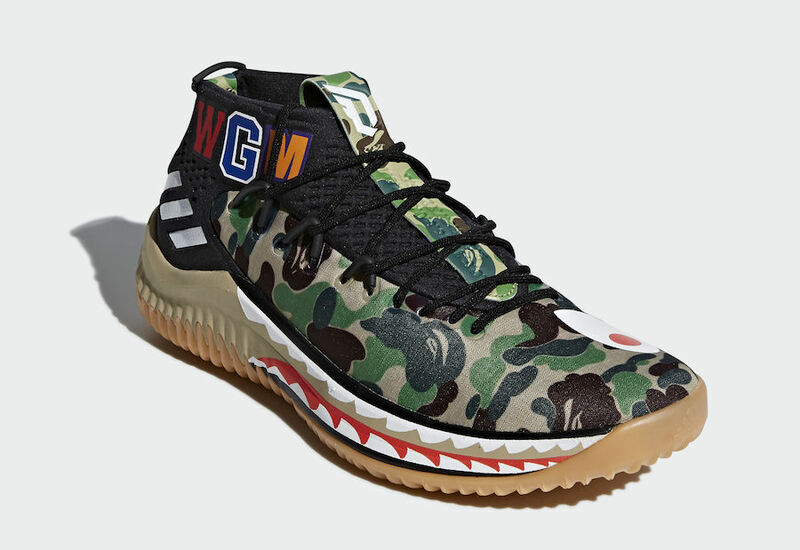 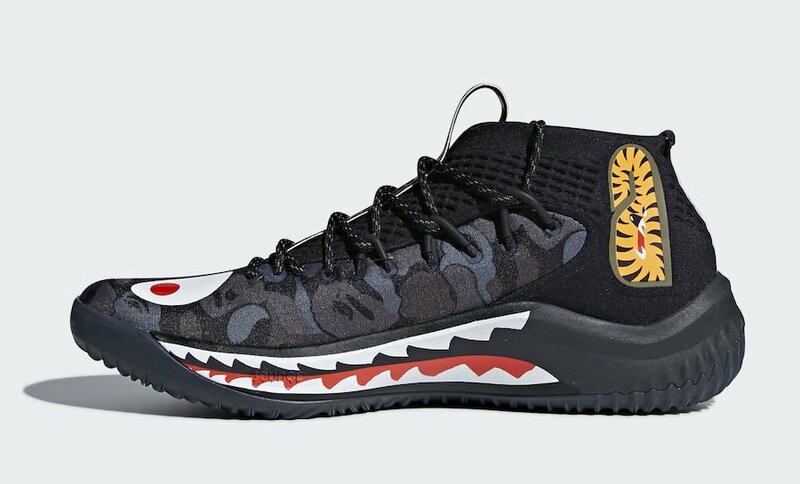 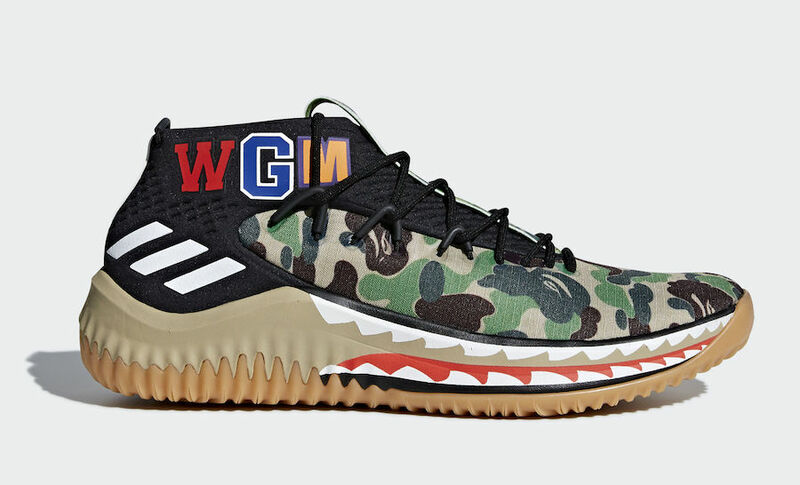 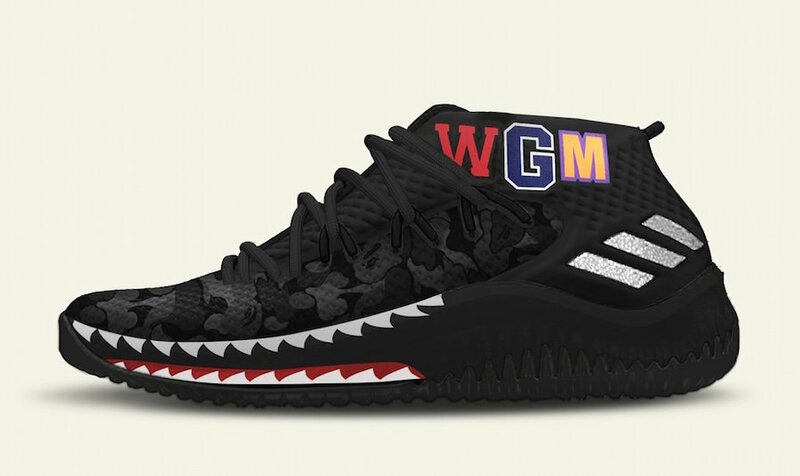 The outcome is the BAPE adidas Dame 4 which will debut in two color options. 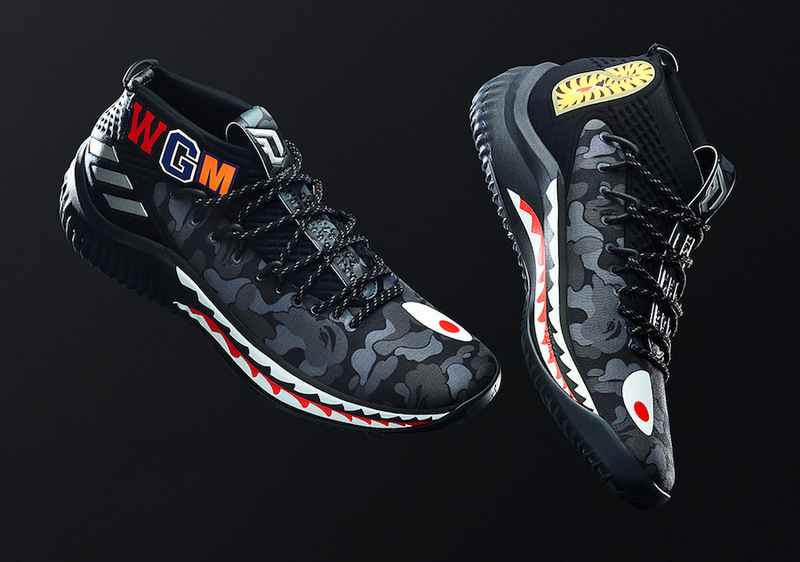 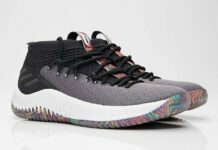 This collaborative pack includes three colorways of the adidas Dame 4. 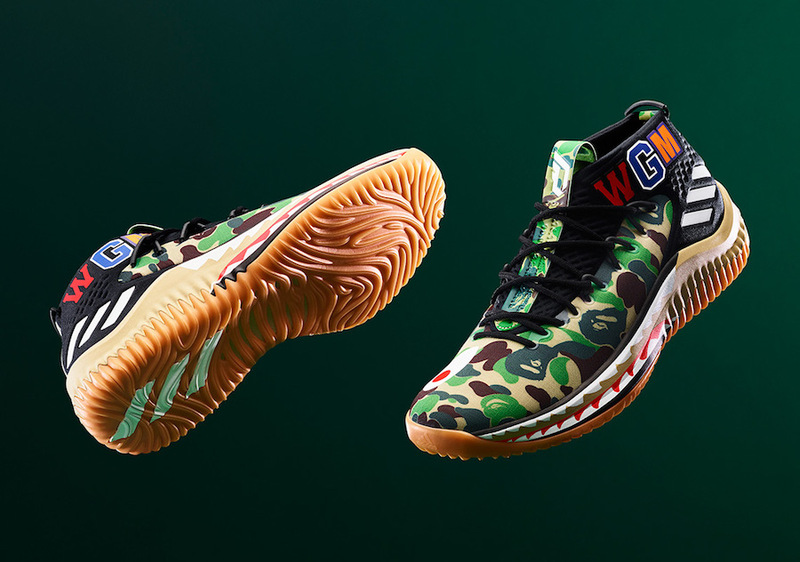 One will feature ‘Green Camo’ the other comes in ‘Black Camo’ while the last pair is the ‘Red Camo’. 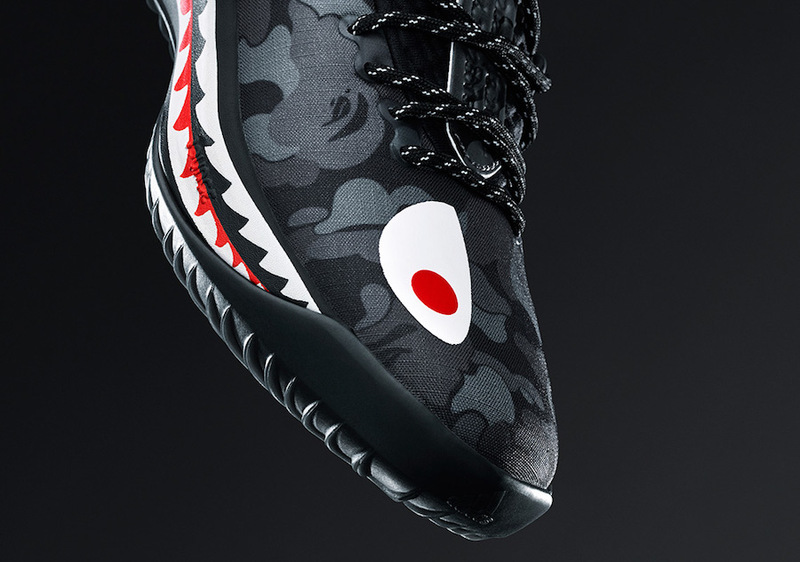 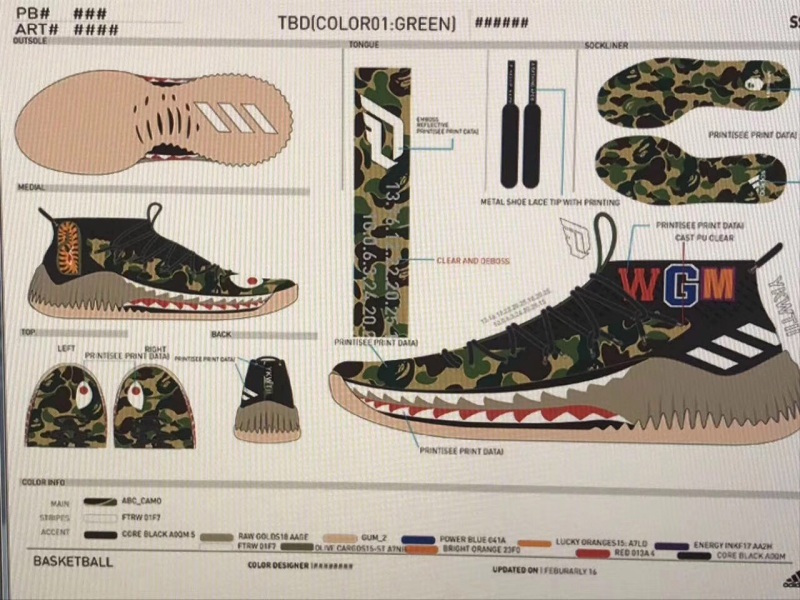 Looking closer at the two, they will feature BAPE’s shark face logo throughout along with shark teeth on the midsole while the eyes land on the toe box. 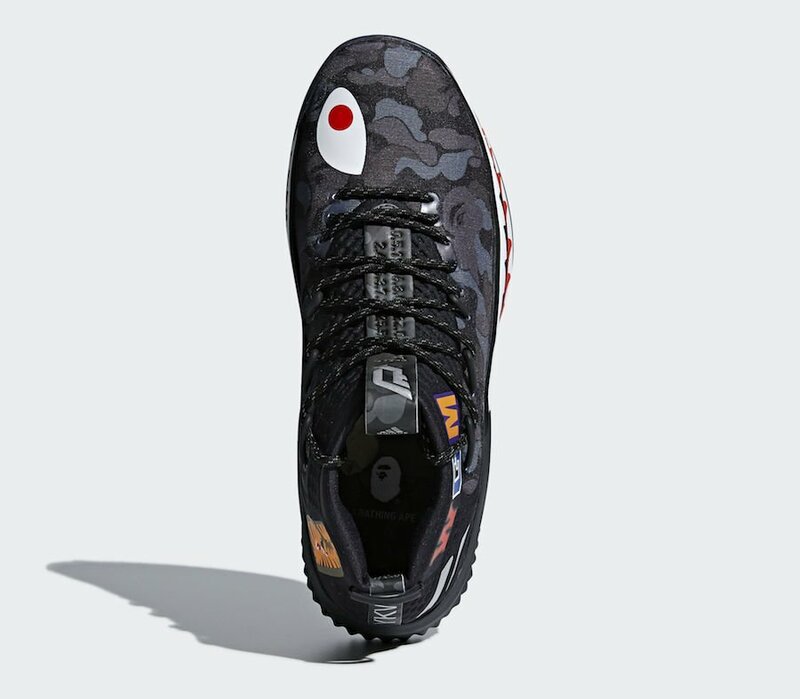 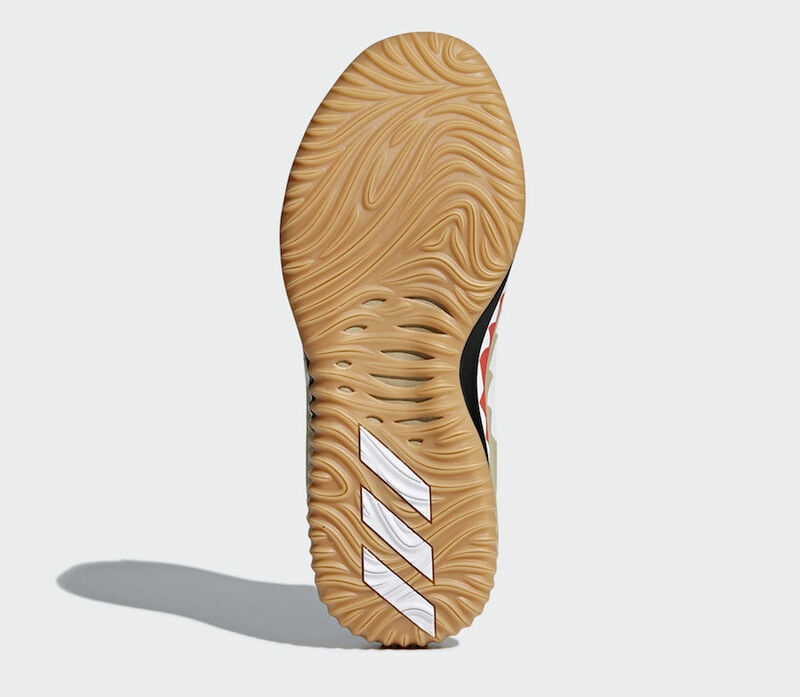 Following we have Bape’s camouflage across the insoles with dual branding which completes the look. 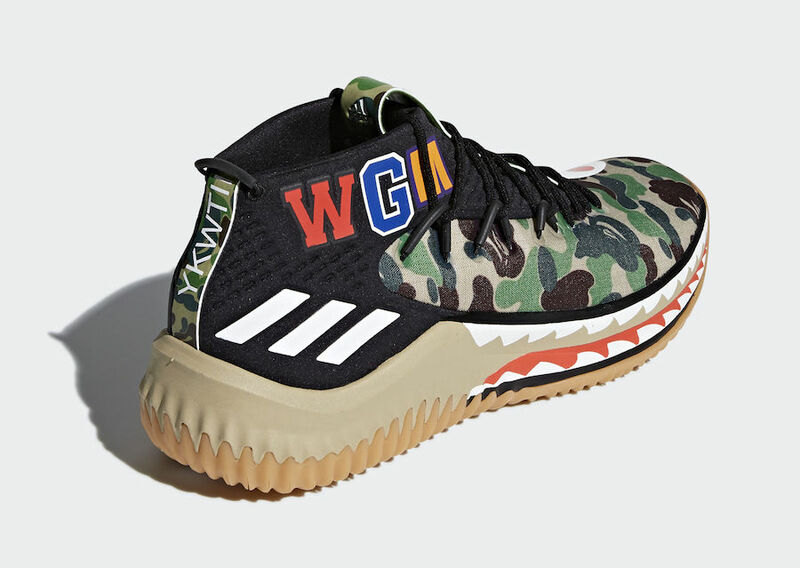 The adidas Dame 4 ‘BAPE’ Pack is scheduled to release at select adidas Originals retailers during All-Star Weekend 2018 on February 16th. 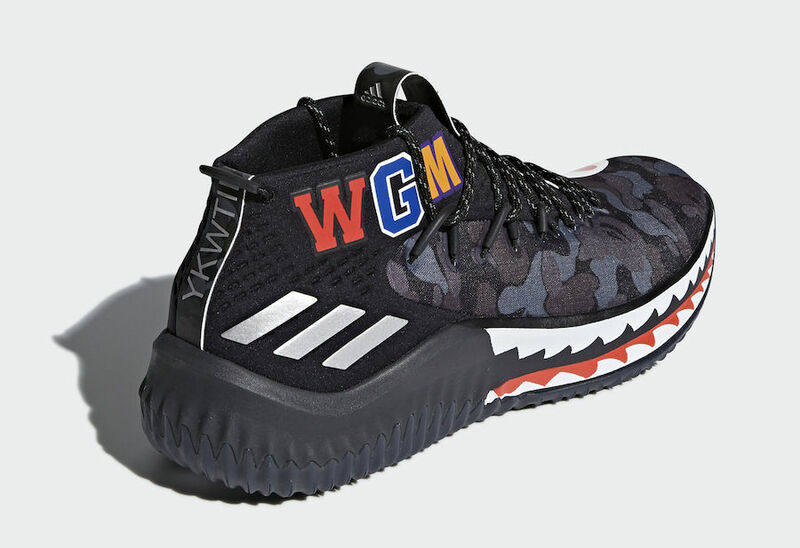 A wider release will take place on February 17th at adidas.com and Bape.com. 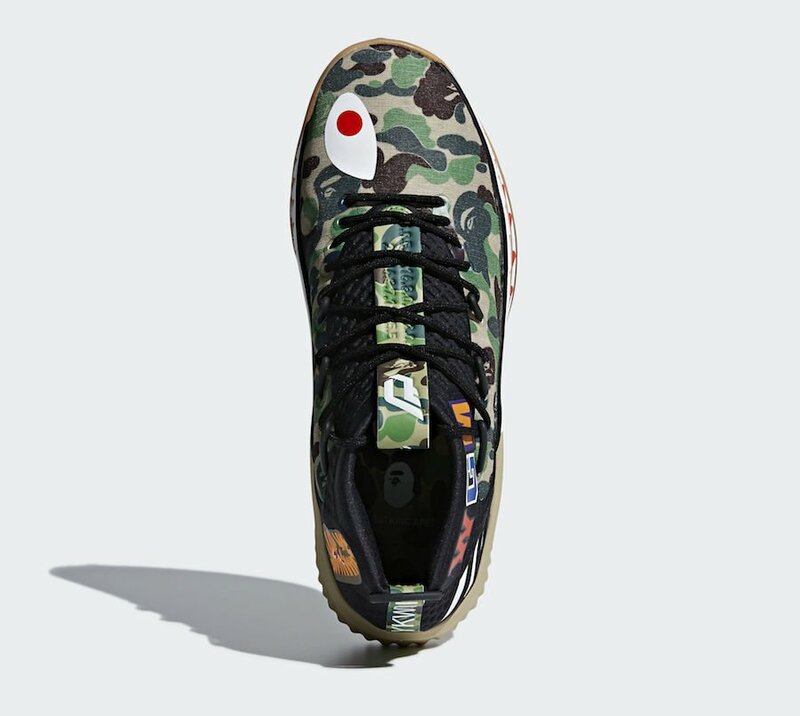 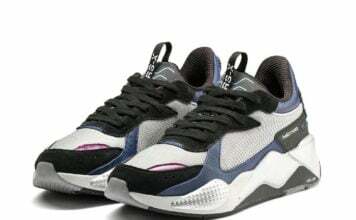 Retail price will be $150. 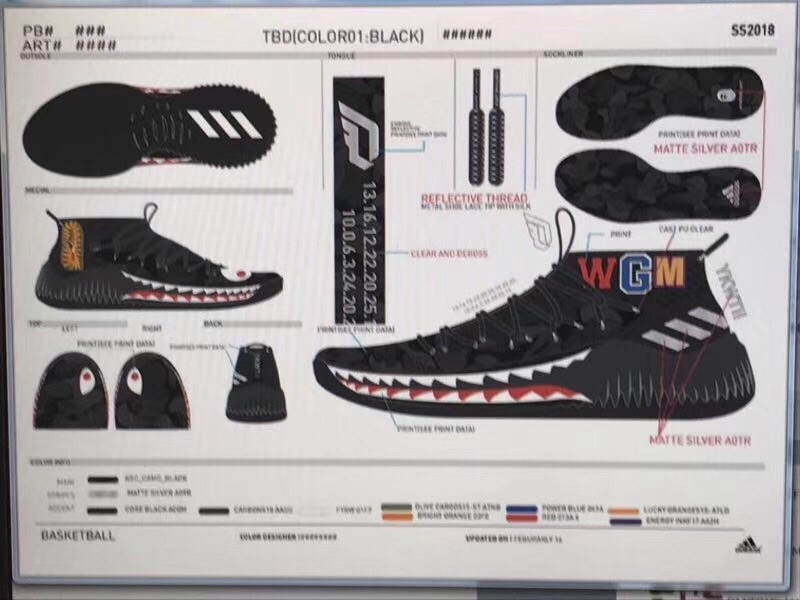 Once we have more information, we will make sure to update you. 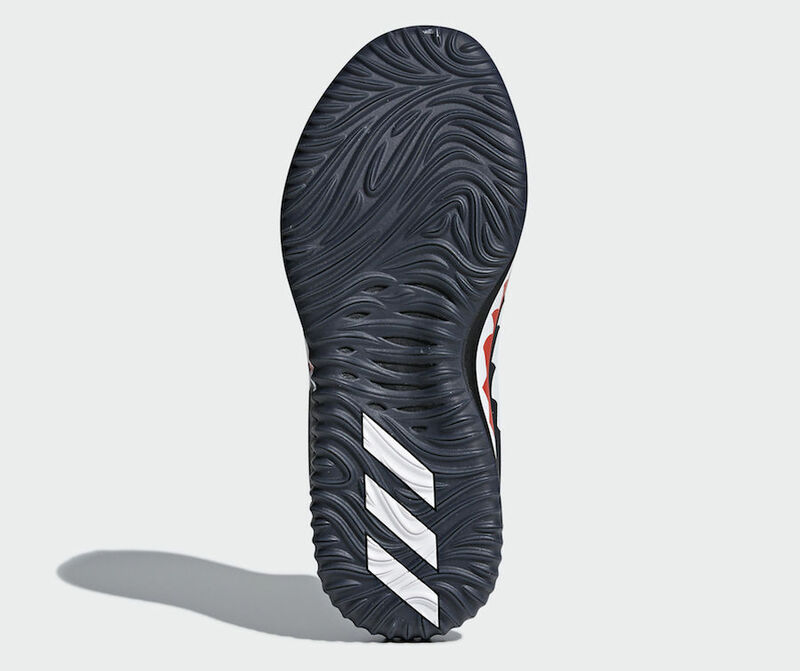 Below you can check out a closer look and visit the comments section with your thoughts. 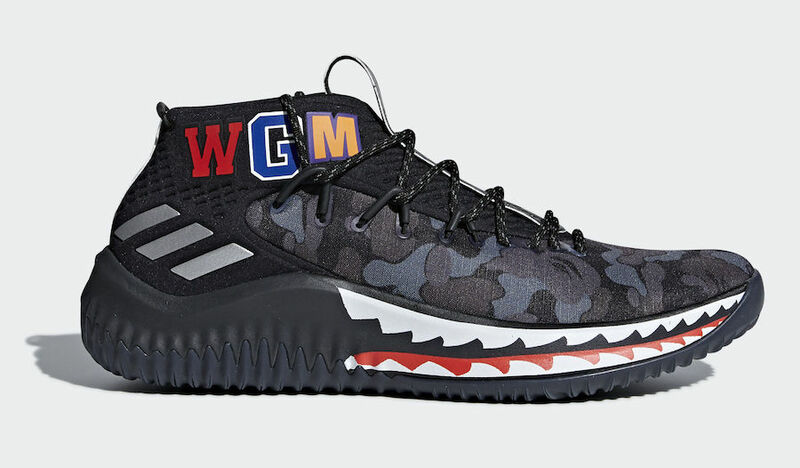 Update: The 3 BAPE x adidas Dame 4 colorways will release on February 16th at 747 Warehouse in Los Angeles. 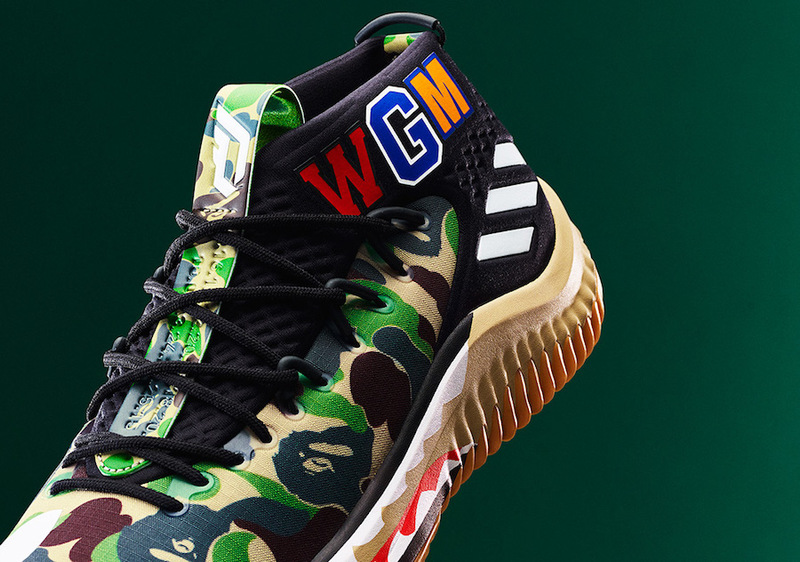 The Black and Green pair will also launch on February 17th at adidas and Bape. 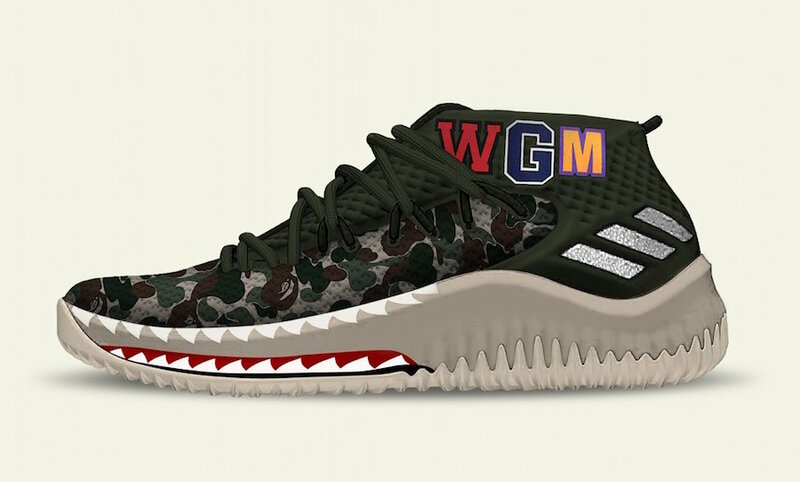 Update: Reported by Yeezy Mafia, the adidas Dame 4 ‘Bape’ Pack will release during All-Star Weekend in February.